Sponsorships are available for all of these exciting opportunities! July 4th in Idaho Falls would not be complete without the parade! Organized and facilitated by the Greater Idaho Falls Chamber of Commerce, the July 4th Liberty on Parade consists of more than 100 entries and a two mile route through the city. The beautiful Idaho Falls Country Club Golf Course is the setting for your opportunity to play one of the premier courses in the region or market your company to over 140 player participants representing businesses from all over East Idaho! Join us by sponsoring the event, organizing a four person team or setting up as a Hole Sponsor. Distinguished Under 40 is an annual awards program unique to the Greater Idaho Falls area that honors ten young professionals who have gone above and beyond by making notable contributions in their careers, community, and education. This night of celebration caps off the year with a social hour followed by the Business of Distinction Awards presentations. Business After Hours events provide a great opportunity for networking in an informal, open house setting. These events are hosted at your place of business and offer a unique forum for your business to reach potential customers and show off your organization. The two hour events can feature tours of your facility, presentations, delicious food and beverages and fun prize drawings. Special Events include our Annual Meeting, the Legislative Luncheon as well as others and provide exclusive opportunities to learn about and engage in discussions regarding professional, educational, and advocacy topics relevant to our community. The Out of the Box Networking Lunch provides chamber members and guests the opportunity to engage and connect with potential customers and hear presentations from member businesses. Make it a priority to attend each month and you could make 100 contacts or gain 100 referrals in just an hour! The CEO Speaker Series is a chance for the community to hear from some of the region’s most successful and innovative business leaders. Held in March, June, and September, these events consist of an informative presentation from the guest speaker, an insightful interview and a time for audience questions. Come and join us to hear relevant, real-time stories of innovation, challenge and triumph. This nine-month course features a hands-on learning approach and provides participants with valuable information and insight on the inner-workings of the Greater Idaho Falls community. Your commitment to participate one day a month includes a look inside local topics such as: Community Services; Healthcare; Law and Government; INL; Growth, Development and Manufacturing; Agriculture and Tourism. 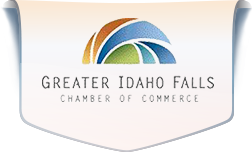 The Young Professionals Network (YPN) of Idaho Falls was started in 2008 as an outreach of the Greater Idaho Falls Chamber of Commerce. Recognizing the need for young professionals in the Idaho Falls area to connect and network, YPN provides professional development meetings and socials throughout the year. YPN has members from all industries and business segments and is geared for all career levels. The Chamber works with local businesses and policy makers to create and protect competitive advantage for business by advocating for pro-business policies and legislation that helps businesses in the area grow and prosper. Shaping public policy is the cornerstone of the Chamber’s advocacy program.